Soft cookies, baked at the point of sale from frozen dough, are a favourite American delicacy that is growing in popularity around the world. A freshly-baked cookie – soft, moist and often still warm from the oven – is an indulgent treat that few can resist. There are clearly opportunities for entrepreneurial development of this market. 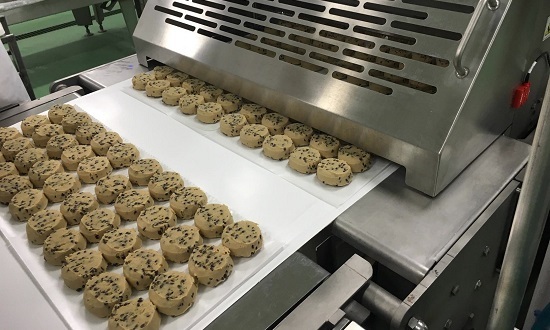 Production is highly flexible, and a speciality of Baker Perkins; as the leading supplier of frozen dough cookie forming equipment in the USA we continue to lead the development of sophisticated technology with innovations in process and product. 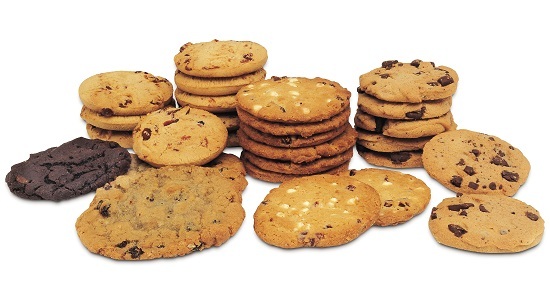 The process is based around the latest Baker Perkins TruClean™ wirecut machine with a series of standard modules for wire cutting of cookies, bar forming, topping, paper slitting and paper cutting. Modules are selected on the basis of product to be made and style of packing - onto paper or directly onto a band for bulk packing. A patent has recently been granted on our new servo-driven wirecut mechanism, which brings improved automation and flexibility. The two-axis servo system provides infinite variability to the cutting and return paths, enabling optimum cutting performance, even at high speeds or on difficult dough. The TruClean™ Frozen Dough Wirecut produces the full range of cookies - bite size to gourmet, from 46 to 121mm. It handles most types of soft dough, including sticky or chunky dough. It can incorporate large inclusions and toppings for gourmet varieties. Outputs extend from 225 to 4,500kg/hr, and machines range from 400mm wide units for the craft sector to 1.2 metre wide for highly automated industrial production. 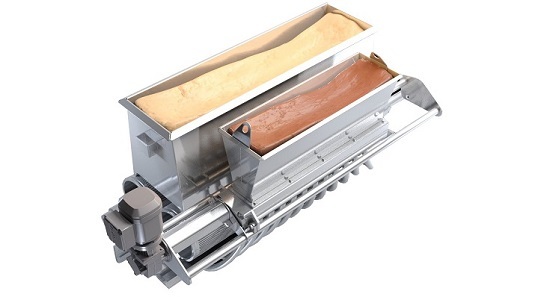 An exciting new product range can be made using an encapsulation module: for the first time, cookies with a totally enclosed filling can be produced on a standard wirecut – previously a separate unit was necessary. With most cookies, high moisture content can create a soft texture, but the baked product can dry quickly. Point-of-sale baking to a known pattern of demand overcomes this problem of short shelf life. The growth in many countries of the sandwich/coffee shop and café culture creates an ideal market, but any retail food outlet is suitable, from stations, airports and schools to workplaces, hospitals and convenience stores. For the food service manufacturer with an existing frozen food distribution system, or companies contemplating prospects for expansion, the attraction is clear.